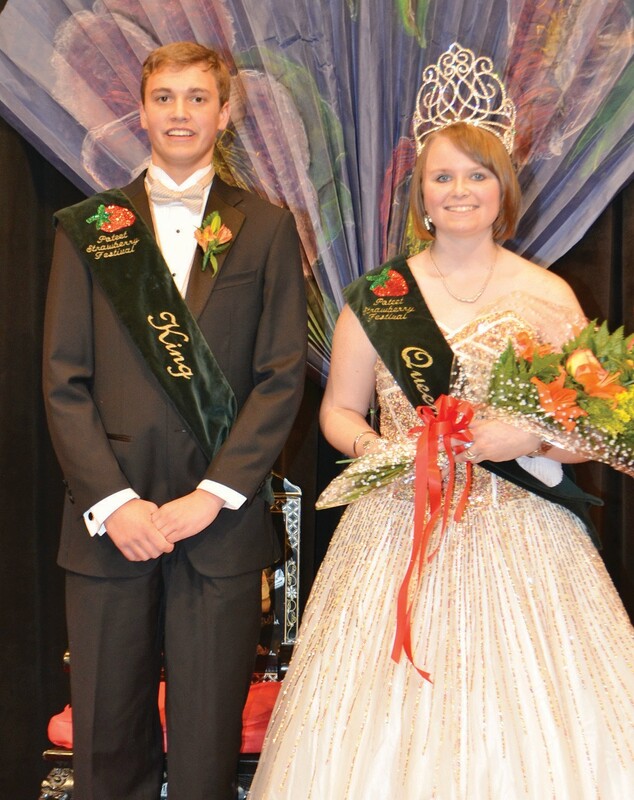 2014 Strawberry King Clayton Akers and Queen Caitlin Crisp were crowned last Saturday at the “Blooms of the Orient” themed coronation. They would like to invite everyone to join them at the 67th Annual Strawberry Festival, April 4-6, 2014. The Strawberry Festival court were presented at the “Blooms of the Orient” themed coronation on Saturday, March 8, where Queen Caitlin Crisp and King Clayton Akers were crowned. Caitlin is the 17-year old daughter of Wayne and Christina Crisp. She is a junior at Poteet High School. Clayton, 15, is the son of Debbie Akers and Jason Akers. Princess is Naomi Jo Ybanez. The 15 year old is the daughter of Ruth Ann Olivares. This year’s Prince is 16-year-old Patrick Gonzlaes. He is the son of Bobbie Joe Gonzales and Rudy Gonzales Jr.
Also on this year’s court are Duchesses Amber Nicole Rodriguez, 16-yearold daughter of Dr. Olga M. Escamilla and Nicolas S. Rodriguez, Jr; Charity Keeling, daughter of Tanya Keeling and Leonard Keeling. She is 16 years old and Selena Richardson, the 16-year-old daughter of Daniel Lopez and Alice Lopez. 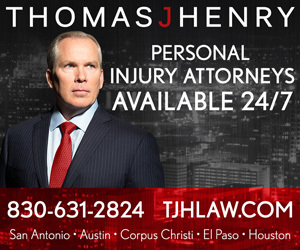 Selected as Dukes are John Nicholas Cervantez, 16, and son of Pat Silva Cervantez and Juan Cervantez, Zachary S. Mancha, the 16-year-old son of Rudy Mancha and Lupe Mancha and Adam Ybarra, 16-year-old son of Roy Ybarra and Anna Ybarra. The annual event is coordinated by the Kappa Tau Sorority. Emcees for the night were TV news personalities Kaitlyn Muñoz, FOX San Antonio’s producer and correspondent for FOX San Antonio’s “Daytime at Nine” and Gary Cooper, who just started at the FOX affiliate coming from a stint at KENS 5. The duo had the task of interviewing the contestants of the Little Mr. and Miss contest. A panel of judges then chose the winners. This year’s Little Miss and Mister Poteet are first graders Adessa Wisehhan and Steve Chapa Jr. The 2013 King Alejandro Garcia and Queen Lauren Zavala both gave their farewell speeches, each remembering the fun they had while serving as king and queen. This year’s coronation class representatives are: Miranda Wiederhold and Sammy Herrera (12th grade), Antonia Lopez and Robert Balderas (11th grade), Amber Reyes and Alejandro Rivera (10th grade), Destiny Delgado and Rex Yee (ninth grade), Courtney Lindsey and Sammy Ritchey (eighth grade), Mia Ortiz and Seth Martinez (seventh grade), D’Andra Calhoun and Nicolas Coronado (sixth grade), Cabriella Garcia and Tyler Blagg (fifth grade), Celeste Escamilla and Jaythan Zuniga (fourth grade), Baily Oropeza and Sean Ramos (third grade), Georgia Hilburn and Gavin Fernandez (second grade) and Abigale Gonzales and Chris Tellez (kindergarten). The three-day event will be held April 4-6 at the Poteet Strawberry Festival grounds located off of SH16. There will be lots of entertainment, a huge carnival, a parade, food booths, contests and auctions.